Today, instead of our normal 5+02 Thursday Tips, we have our vendor spotlight feature, “5+02 Questions”. We posed 7 questions to BEAUTY by Bethany, a Louisville-based make-up and hair studio. 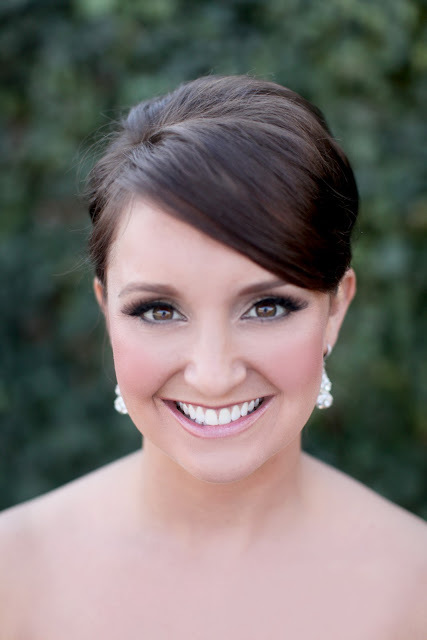 Founder and owner, Bethany Tiesman, shared with us some great insight into her world as a professional wedding hair and make-up specialist. So check out her responses below and after you’re done, hop on over to her website to see her portfolio! 1. Can you tell us a little bit about yourself as a make-up artist, your services and your company? 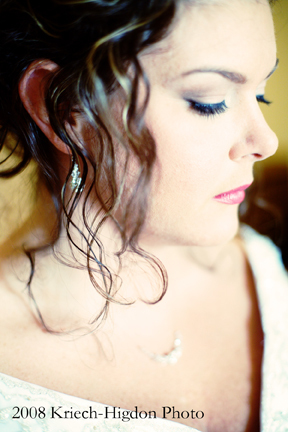 BEAUTY by Bethany offers professional, airbrush makeup artistry services on location as well as in studio. With over 12 years of experience, my areas of artistic expertise include airbrush makeup, bridal, boudoir, editorial, commercial, headshots, high-def, lessons, and brow/lash care. I started BEAUTY by Bethany in 2007 after leaving the salon industry to explore and develop my passion in makeup and to fulfill my dream to be a Professional Makeup Artist. Since then BEAUTY by Bethany has gone a long way having been voted "Best Wedding Makeup in the Louisville Area" by WLKY's A List, WHAS 11's Best OF, and Wedding Wire's BRIDES CHOICE awards. In May 2011, we opened BEAUTY by Bethany Makeup Studio offering makeup applications, brow/lash waxing and tinting, and makeup lessons. A month later, STELLA Cosmetics was born. STELLA cosmetics offers a full line of cosmetics that help women achieve their most fresh, flawless beauty. Whether it be a makeup applications, makeup lesson, wedding, photoshoot, or just a simple brow wax, at BEAUTY by Bethany, we aim to bring out the BEAUTY that is inside of you -Fresh. Flawless. BEAUTY. 2. What is the most exciting and/or rewarding part of working as a make-up artist and about making up people for their wedding day? The most rewarding part of my job is seeing a women's face light up because she FEELS beautiful! Whether it be on her wedding day or a makeup lesson I LOVE helping women not only look beautiful but FEEL beautiful! It truly is the most rewarding experience to know that I had some small part in that. 3. What sets you apart from other make-up artists? My style and my passion. I LOVE women to look like themselves but more glamorous. Think red carpet! Actresses step out on the red carpet and still look like themselves...but better...a more glamorous version. I want my clients to FEEL beautiful...not just look beautiful. That is my passion! 4. What can a couple expect from you on their big day? My brides can expect to feel relaxed, comfortable, and beautiful! This is their time to relax and be pampered. At the end you will look and feel beautiful! 5. Do you use a specific brand of make-up and/or equipment? I specialize in airbrush makeup and use Obsessive Compulsive Cosmetics airbrush foundation exclusively. I also started my own makeup line, Stella cosmetics, that I carry in my studio. It is professional grade cosmetics that every woman can wear for any occasion! So my kit has all of Stella cosmetics and some various other products from other lines I love. 6. Where do you find your inspiration and stay current? 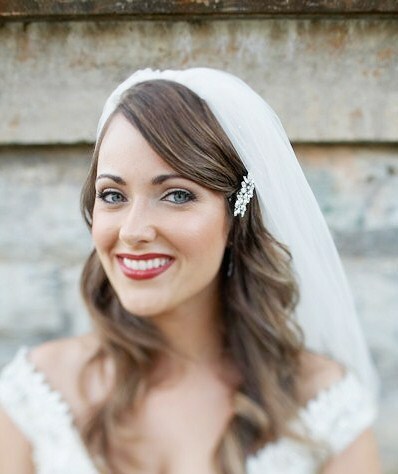 Are there any current trends you have seen in bridal make-up and/or bridal hairstyles? I love watching the award show. Trends show up on the stars! And then of course what is going on in fashion...if pops of color is in then that can be easily transferred into your daily or bridal makeup. 7. What would you say is the most important thing to do for brides to look glamorous on their wedding day? Tip#1 - PREPARE! Get a few facials, have your brows waxed, drink water, and please get enough sleep the night before. I know that sounds like a tall order but a fresh, cleaned up, and rested bride really is a more glamorous one. Tip#2 - Don't try a new look! Look like yourself...only better! Don't try a smokey eye if you rarely wear eye makeup. You won't feel glamorous...you will feel like a street walker. And no one wants to feel like that on their wedding day! For more information on BEAUTY with Bethany or if you'd like to get in touch with Bethany Tiesman , you can visit her website at www.beautybybethany.com.